Alexis Home by Skyway Builders INC.
Our custom designed Alexis model had the contemporary floor plan you are looking for. Walking into this splendid 2800 square foot home through the formal living room quickly provides a sense of peacefulness. The double French doors to the lanai bring in an abundance of light and a feeling of spaciousness. The formal dining area, adjacent to the living room and connecting to the kitchen is accented by a high, arched window. 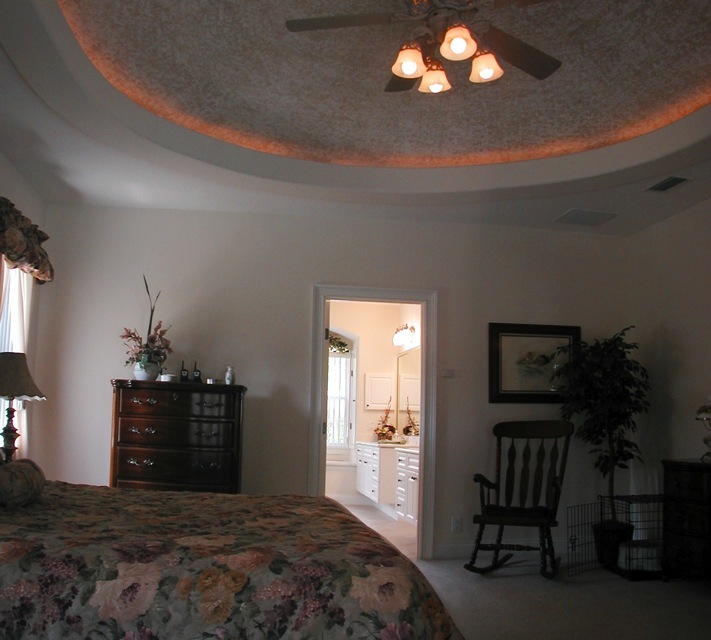 The master suite is off of the living room, and has a beautiful dome ceiling and a wonderful master bath with a double vanity and walk-in closet. 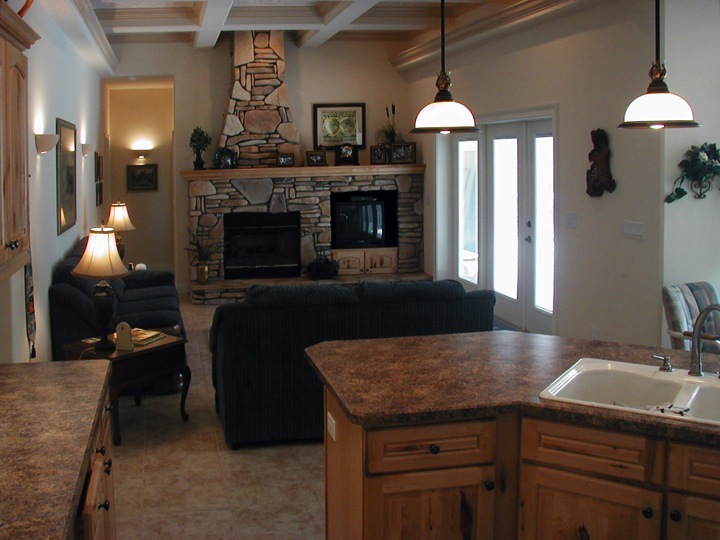 The kitchen overlooks the family room, giving warmth and an easy access for a central gathering place. 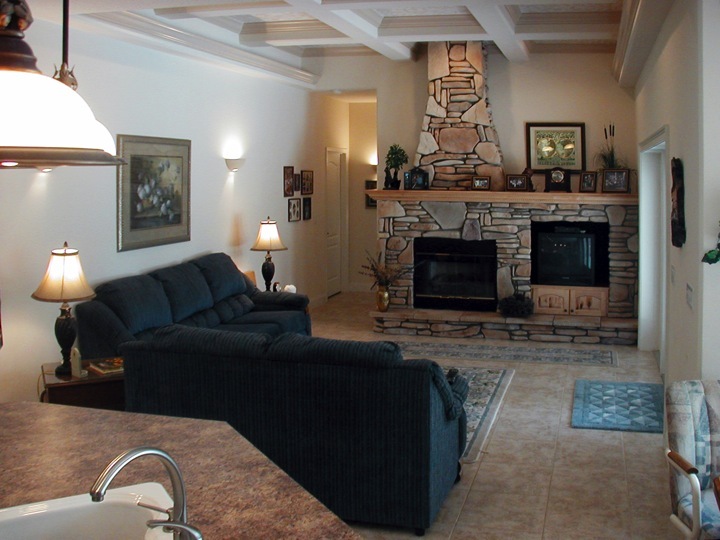 The breakfast nook is nearby, and provides a view o the lanai or optional swimming pool. 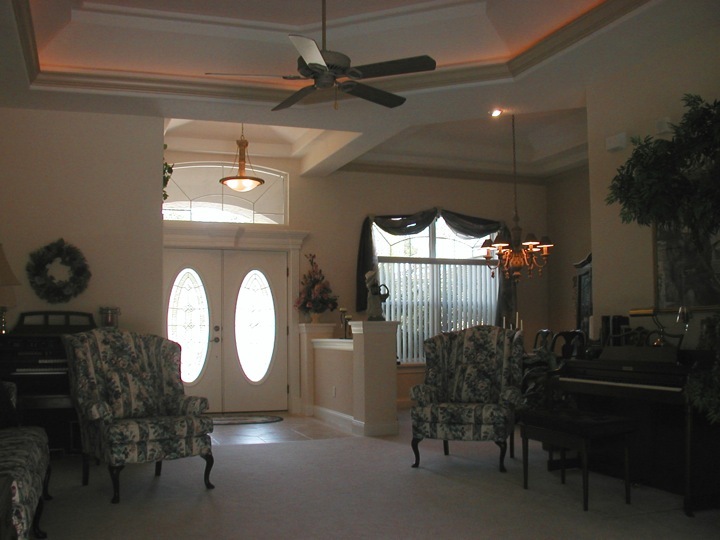 A second set of French doors also lead onto the lanai from the family room. 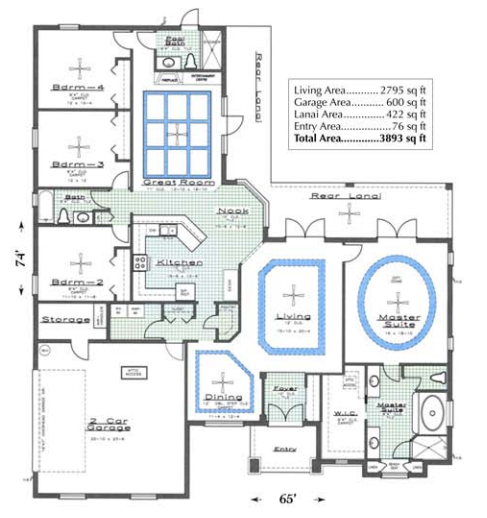 Three bedrooms and two more full bathrooms are found off of the hallways near the family room, making plenty of room for family members or guests. One of the two bathrooms connects to the pool area. 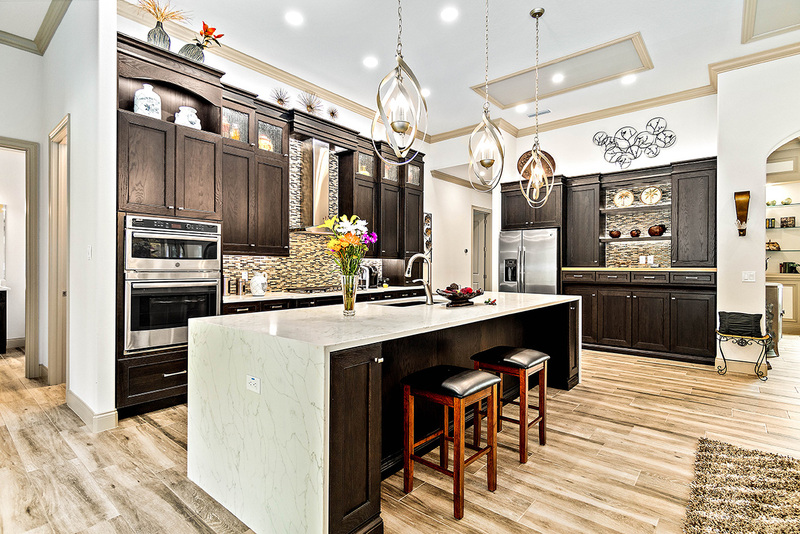 The Alexis Home by Skyway Builders INC. is the perfect setting for a full house of family and guests for casual gatherings or formal entertaining. 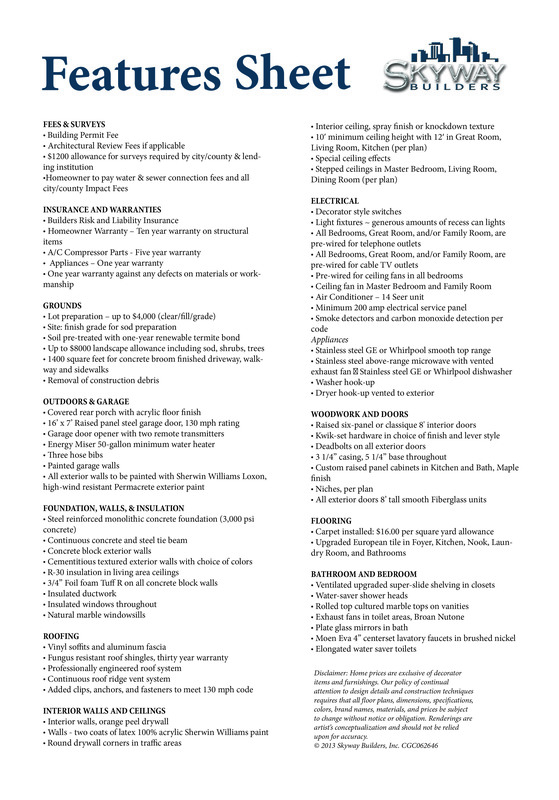 Our home contractors are passionate about their work. 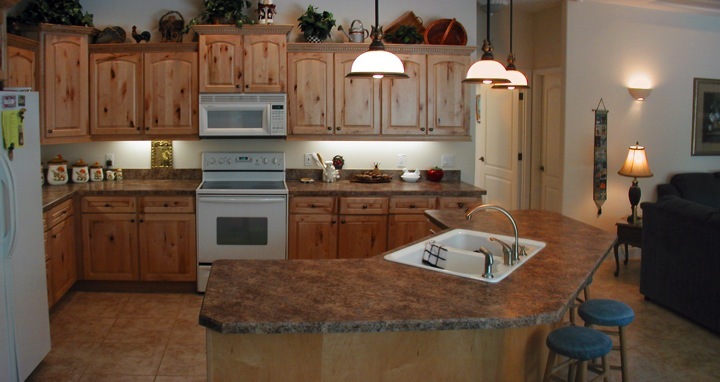 Contact us today to learn how we can customize our Alexis model to perfectly suit your dream home needs. 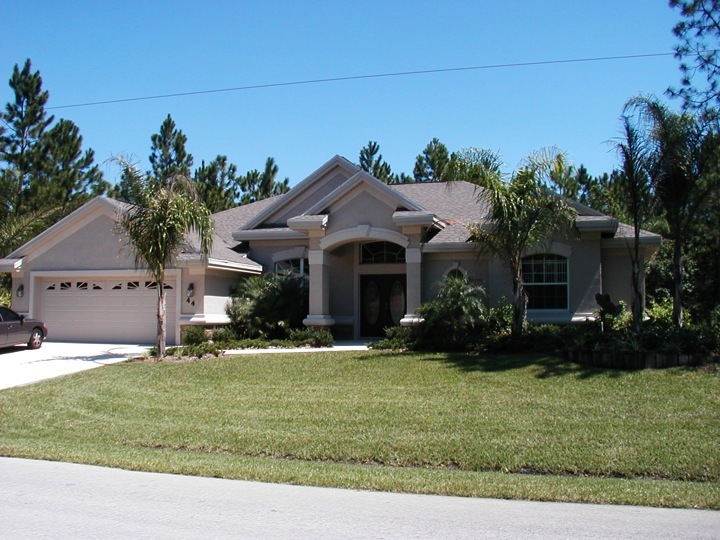 Contact Skyway Builders today at (386) 445-2012 to get started on your custom home! The Elizabeth II is open to viewers in 2019. This model home features an outdoor open-air garden and wonderful surprises. 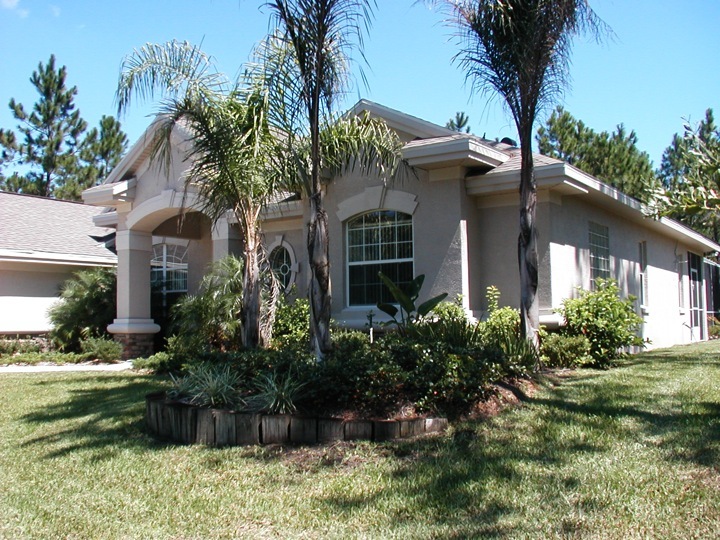 Call us today to schedule a viewing! 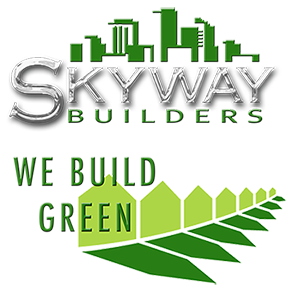 © 2019 Skyway Builders, INC.